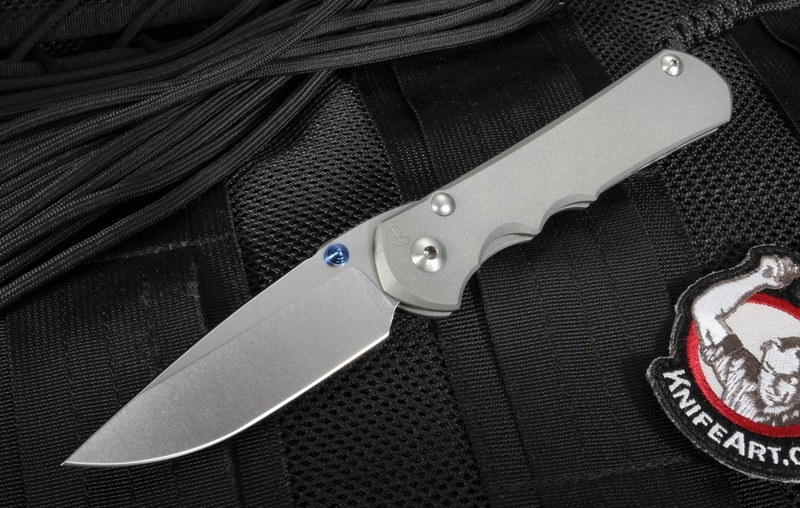 The Large Inkosi folding knife launched in June 2016 as the successor to the Sebenza 25 knife model. Inkosi means 'The Chief' in Zulu and puts all of the best CRK technology into a large folding knife with a 3.625" blade. The large Inkosi is a full sized folding knife that will comfortably transition from everyday carry to field carry with a blade length that can handle most cutting tasks. 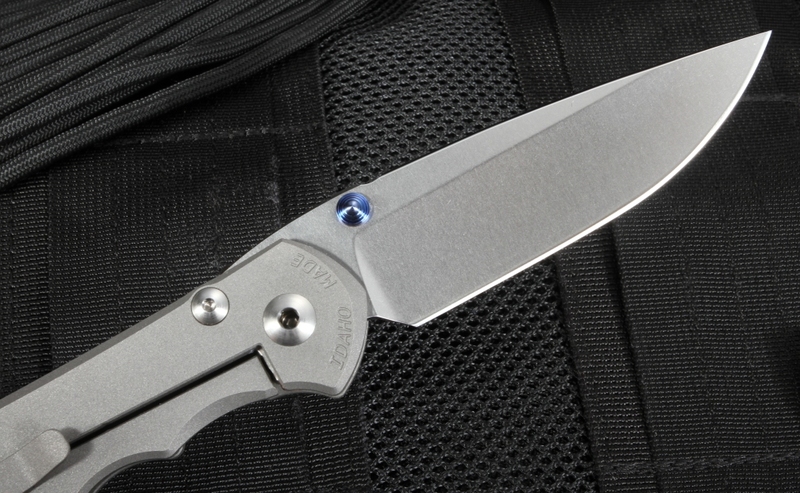 While the Large Inkosi visually strongly resembles the Sebenza 25, there are some subtle engineering differences. The Large Inkosi has a more robust stop pin, twin oversized phosphor bronze perforated bushings and a pocket clip that is better positioned to rest away from the lock bar. 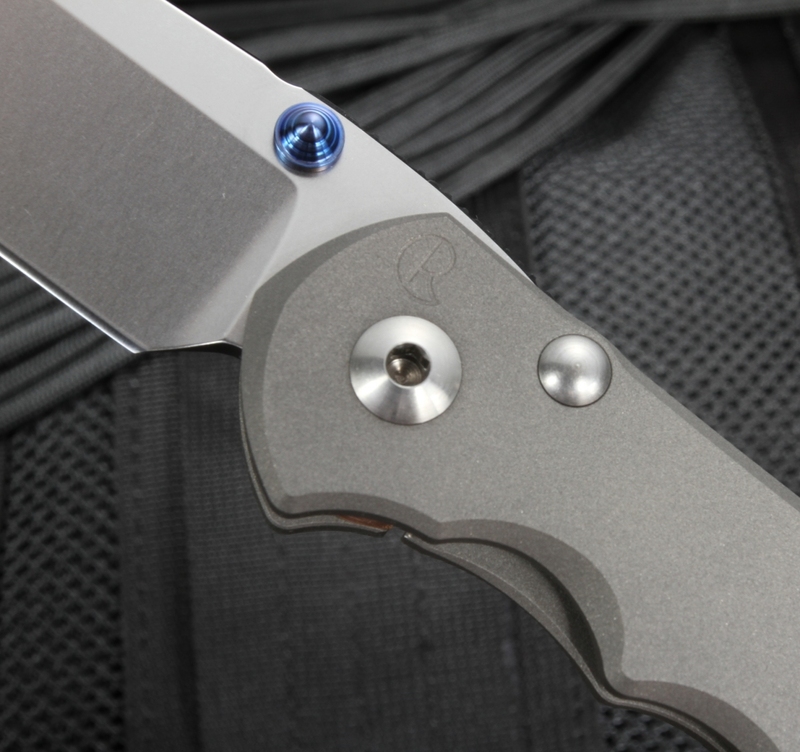 The Inkosi features a drop point blade that is deployed using ambidextrous dual titanium thumb lugs. Front and center on this knife, the American-made blade steel is S35VN crucible particle metal stainless steel, specially designed for high-end knives. The blade is heat treated to an RC of 59-60 for outstanding edge retention. The 3.56mm blade stock has large hollow grinds, a grind that has the best of both worlds; the cutting performance of a flat grind with the strength of a hollow grind. 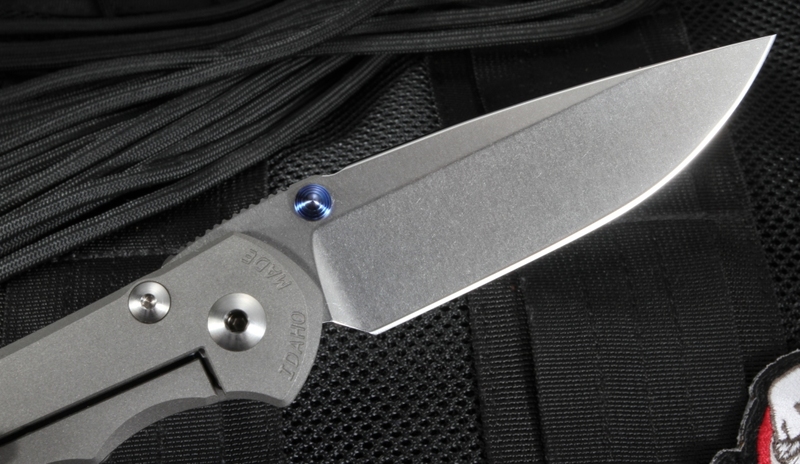 The Inkosi has a clean stonewashed blade finish that hides scratches but provides a durable cutting finish. The top of the blade has robust jimping that gives the user a positive grip and handling. 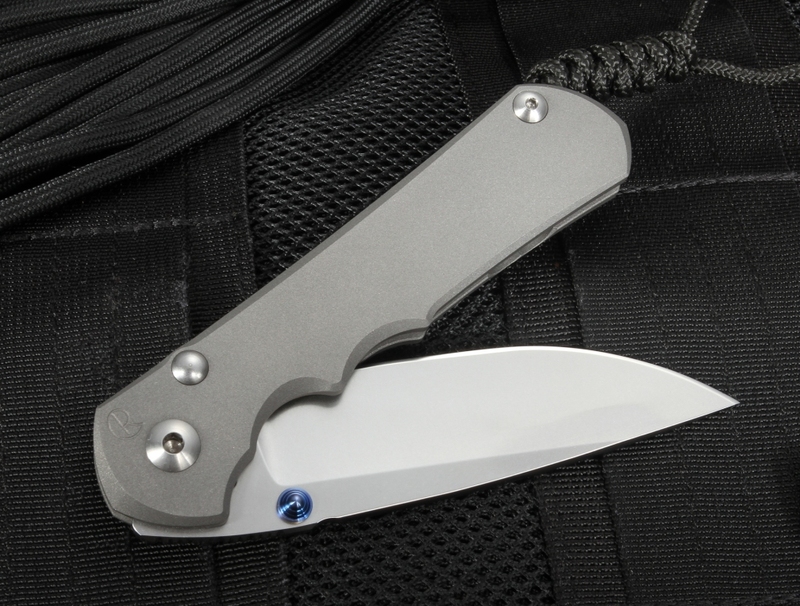 The handle slabs of the Reeve folder are two perfectly flat slabs of 6Al4V alloy titanium that is blasted a matte gray finish. The lock bar features the bank vault lockup that CRK is known for. 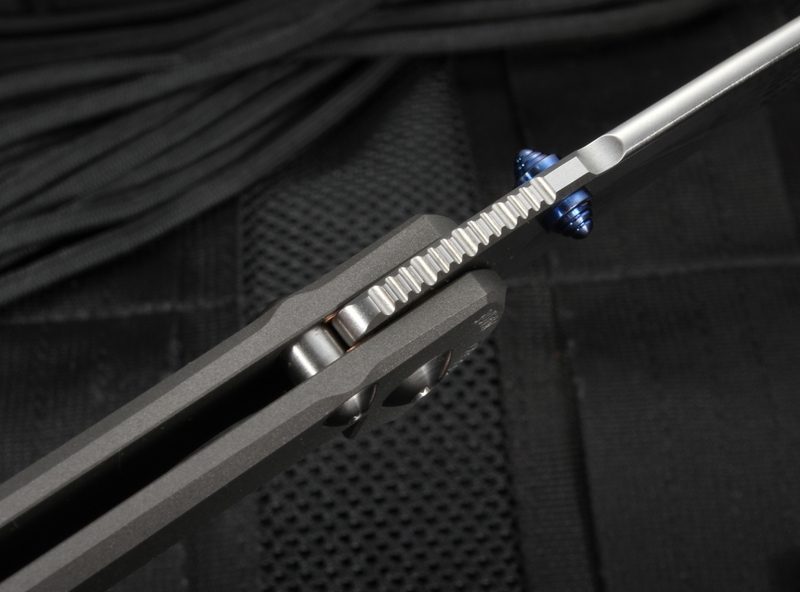 One-eighth inch ceramic ball acts as the interface between the lock bar and the blade and doubles to drop into the detent, ensuring the blade stays in place when closed. The oversized pivot bushings have larger perforations in the washers/bushings reduce friction, store more lubricant and offer space for small dirt particles to move away from the blade/washer interface. 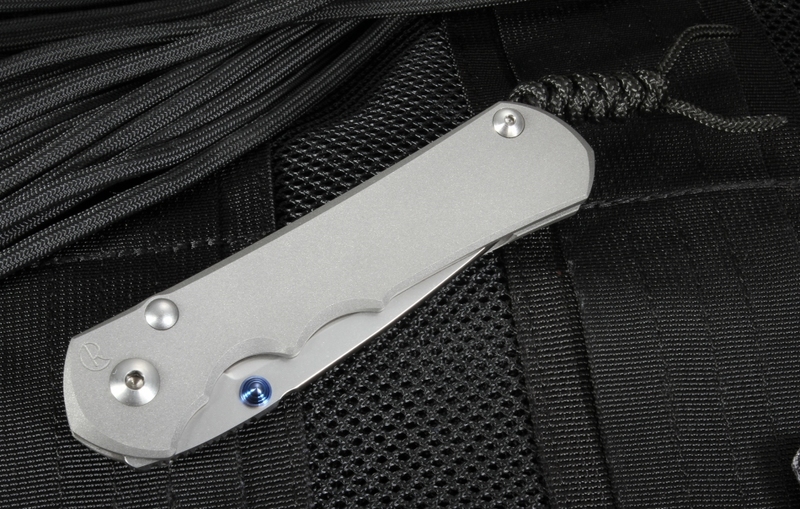 The frame locking folding knife has a 416 heat treated stainless steel stop pin that is increased thickness and more robust. When you make a decision to purchase a Chris Reeve product, you are making a decision to invest in one of the highest quality American-made folding knives available. You can rest assured you are receiving a new knife, from one of CRK's largest dealers will a full satisfaction guarantee. We will get the knife in your hands quickly with our fast free US shipping. I've owned three Sebenzas over the years and the Inkosi is the best of the bunch! Easier opening and superior grip. It will become my EDC. Don't be afraid to carry and use this knife, after carrying for a year send it into Chris Reeve for the spa treatment and it will come back looking like new! Btw, the folks at Knifeart are great to deal with. Cheers! Nice knife, but a bit over priced. It is, after all, just a knife. With the price being what it is I'm to scared to carry it for fear of loss, or getting a scratch on it, so it stays in the box. Pity really. Lots of refinements over the Sebenza 25, outstanding knife overall. Fit, finish, and quality are outstanding! Very smooth and extremely sharp. I haven't found anything this knife can't do. The Inkosi has become one of my all time favorite blades. A great EDC knife. I love the no-frills simplicity. Service from KnifeArt was excellent! Thank you! Indeed, as you can see from the title, this knife is being a bit of a frankensteined thing. Although in the best possible sense. The Handle and pivot has been taken from the Sebenza 25 and slightly modified by moving the picketclip and slightly changing the stoppin but the rest is as we know it from the 25. Yet the blade is the nice hollow grind we are used to from the 21 which really does work a lot better, although with the more agressive 25ish gimping (or jimping.. not sure). I like it a lot actually and since it's not very expensive it shouldn't be missing in any CRK Collection! My first CRK. After thinking about Sebenza 21 & 25, Im more than satisfied with Large Inkosi. From the first day this knife perfectly became my "partner" and doing well as EDC.